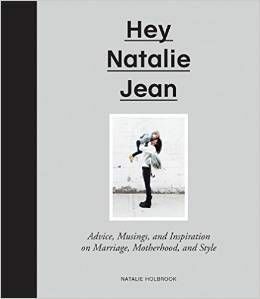 HEY NATALIE JEAN: GIVEAWAY WITH VERIZON! Something fun today thanks to Verizon! Living in a loft like ours means making a lot of compromises on the entertainment + media we get to play around the house. If I want to listen to a podcast while working on my needlepointing, if Huck wants to watch cartoons but we want to watch a "grown up" movie, if I want to listen to music but Brandon has a conference call, or if Brandon is snoring and I'm having a hard time falling asleep and need some extra-concentrated white noise power, haha, well. We haul out the ear buds. We have many, many pairs of earbuds floating around the house. Sometimes we get a little territorial over them? I've been known to stash a secret set under my pillow so Brandon can't take them to work. For a while we had two identical sets going but only one was working all the way--the other was missing sound in the right ear bud--and Brandon and I went back and forth covert-ops style for weeks over that one, swapping out the busted set for the working set when we thought the other wasn't looking. It gets pretty tense around here. We're the same way with the last Diet Coke in the fridge. Survival of the fittest! 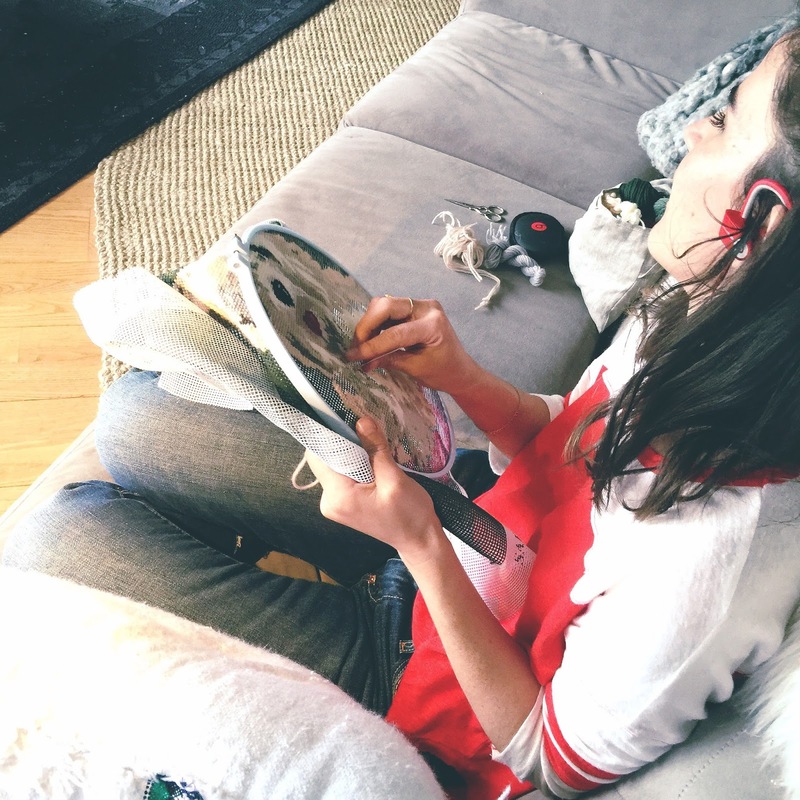 Verizon sent us a pair of Powerbeats by Dr Dre to try out, and we've had a lot of fun fighting over sharing them (lol). Major street cred with the Beats, and thank you for that, Dre + Lebron, because street cred is not something I come by otherwise. :) They're sun + sweat resistant, lightweight, and durable enough to withstand punishing work outs. Such as when Brandon takes them to the gym, and when I use them while I do needlepoint . . . on the couch . . . intensely. The sound quality is great, dual drivers separate bass + treble for super accurate audio so so you can catch every cultural reference on Gilmore Girls even when Lorelai is talking at full Gilmore speed, they're comfortable enough to wear to bed for when you need that white noise app running at full power--and I don't have to worry about accidentally strangling myself in my sleep with my earbud cords anymore, hah! Look how strenuous that is! I have such stamina. I get to give away a pair of Powerbeats by Dr Dre to two of you lucky ducks today! An $180 value! I'm so excited for this! Winners will be chosen by Verizon + announced by me on Twitter. There it is! Good luck + happy entering!! This post was sponsored by Verizon. I was sent these products to review and was compensated for my time to write this post. All opinions expressed are my own and not influenced in any way. 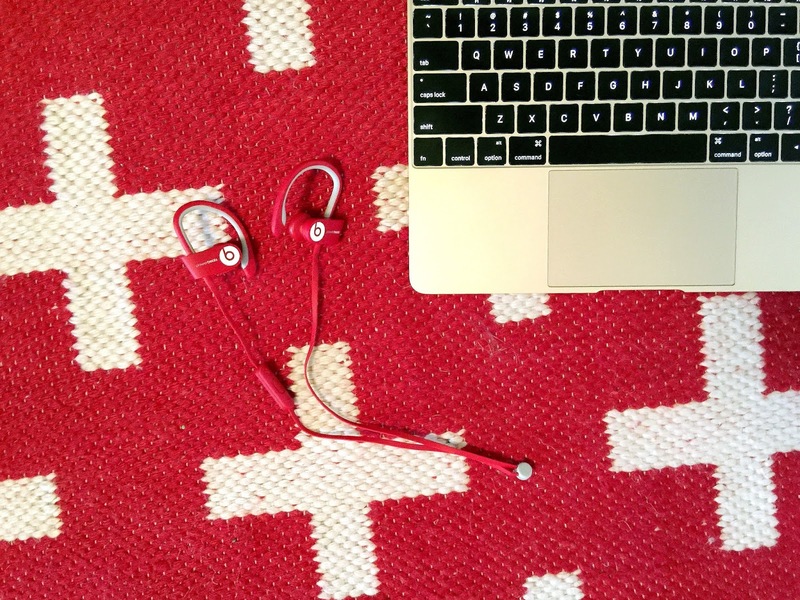 "I just entered @heynataliejean's HNJPowerBeatsGiveaway!" 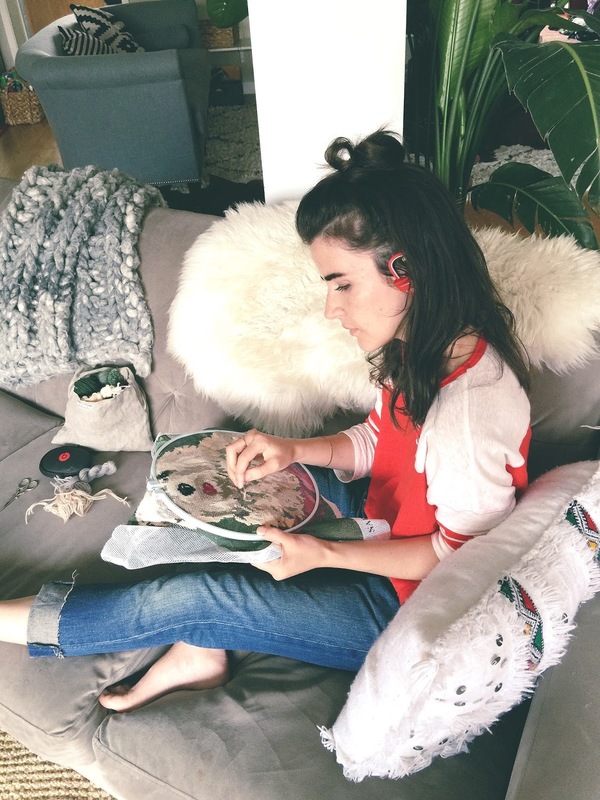 "I just entered @heynataliejean's HNJPowerBeatsGiveaway!" I also posted everywhere ;) I love this blog as a working mom you bring me sanity! Love it! Oooh I love these! Yes please! 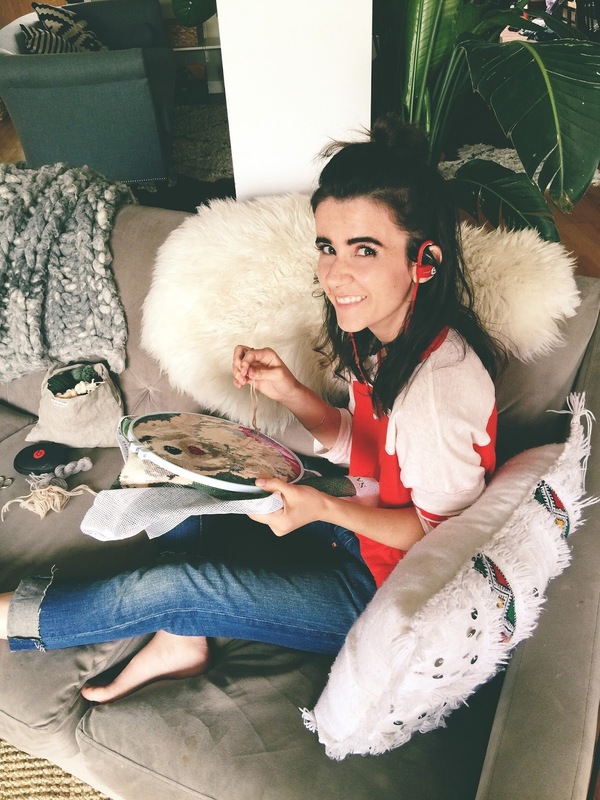 I'm doing it ;)"I just entered @heynataliejean's HNJPowerBeatsGiveaway!" 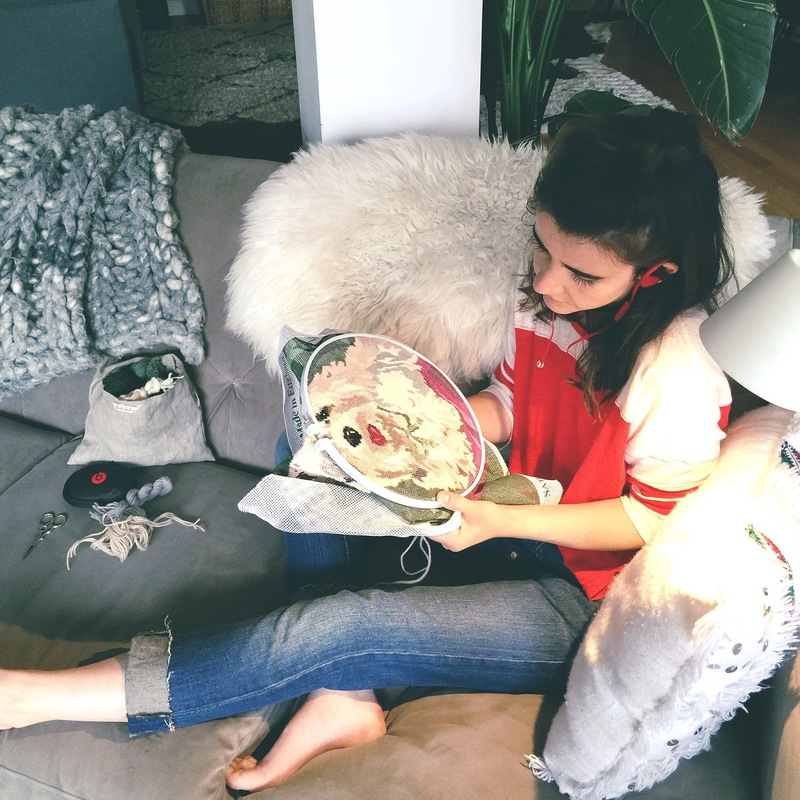 Look at you with all that strenuous needlepoint! You make it look so chic and easy! I like the cordless look too! Love this. 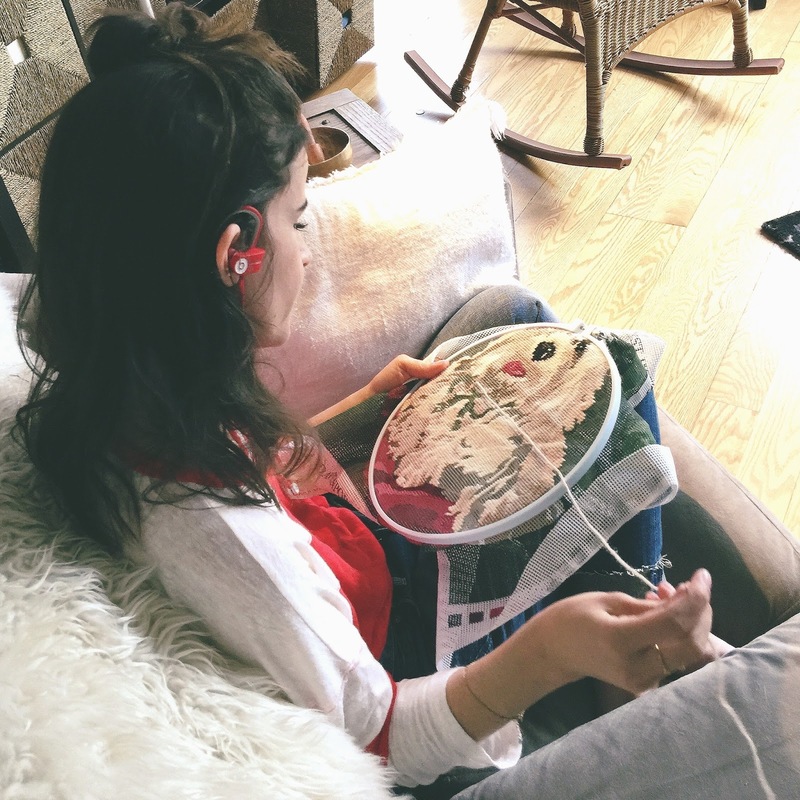 I just started doing needlepoint and it really is a great time to get in podcasts! I would LOVE LOVE LOVE this. Poor college student over here needs some new headphones. I could use some of those!!! I would love a wireless pair! I keep stealing my boyfriend's UrBeats and I'm currently borrowing my boss's extra pair for a trip! They are the only ones that stay in my ear. oh man, I desperately want these. here is to hoping I win! Nice! I've been dying for some new workout headphones. Sweat-resistant sounds about right. These look and sound awesome!!!! Multiple children and dogs in the home make these sound even more delightful! Yes! I want these! Thanks for this! I could use those! We definitely have the multiple media issue in our house! These would make this old lady feel so hip! These would be an amazing addition to life! I need some of these in my life! And they won't match anyone else's so I won't 'lose' them! 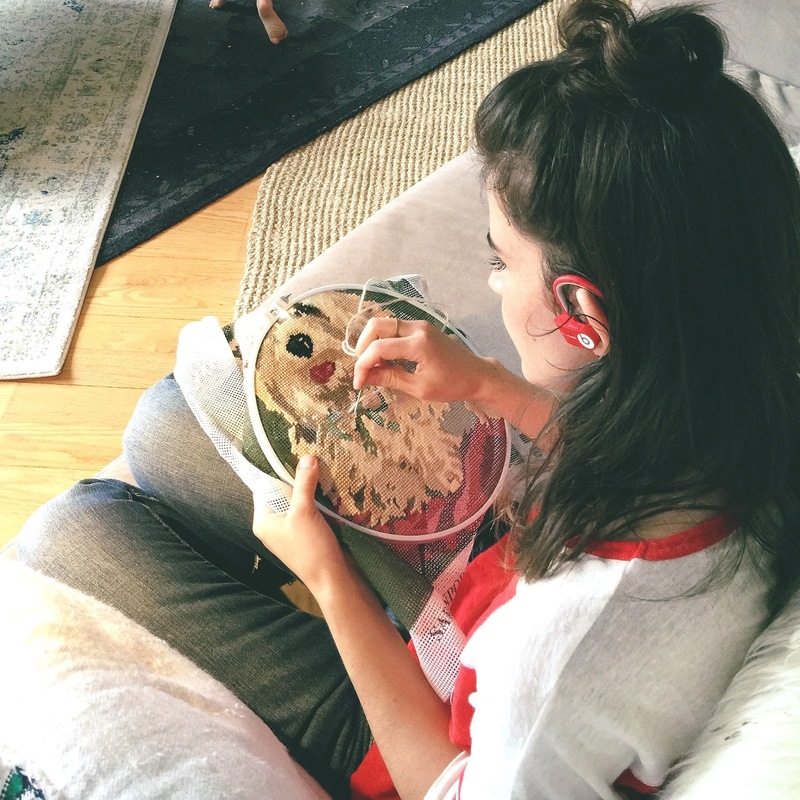 I'm down to the one-sided earbud dilemma! I have always felt it was my destiny to have a pair of Powerbeats by Dr. Dre. these would be the perfect gift for my favorite man. it would be so cool to win these and surprise him with them! ah! Sometimes you just need a free all the things hmm?? My husband and I also have the earphone battles. WHY DO YOU NEED TO TAKE BOTH PAIRS, HUSBAND, WHY! you don't need to post this so you can moderate it but I am really concerned for you. You are not looking very healthy... really melting away. I am worried. I know there has been a lot of crap going on and I am so worried about you. I am sending prayers and love your way and hope all is well. These would be awesome for flying, definitely need some in my life! I'd love to get these babies! amazing giveaway! I'm in DESPERATE need of some new earbuds! My first Beats by Dre were a birthday gift from my brother, and I've never looked back! They've been to eight countries and 21 U.S. states with me. They've streamed break up and celebratory soundtracks alike into my ears. They've been with me at the pool as I amp myself for a race, and they've accompanied me to work to ensure that the other people surrounding me in our open floor plan don't want me to please go away. A new set of Powerbeats by Dr. Dre will have many people and places ahead of it if I'm the recipient! Plus, Verizon, I've been with you since 1999! Thanks for the chance to win these, Natalie! I'd love a sturdy new pair! I am well-versed in the spouse-battle-of-the-earphones... These beauties would make my adventures home from work way more pleasant, having my music hands-free whilst I am laden with arms of groceries and cords getting tangled in everything, all the while trying to find my house keys! Great giveaway, my fingers are crossed! I seriously was just looking for some bluetooth headphones. Am I cool enough for Beats? I hope to find out! would love these beats!! love red!! Ooh these sound so good. Awesome! I would killlllllll to have these at the gym. tweeting and tweeting some more! I'm sure my husband and I would mutually appreciate not having to listen to each other's YouTube viewing! These look great - unfortunately, I am not on Twitter (well, I am registered, but I don't use it). Glad I checked in, great giveaway! Ah! I would love these. Oh my goodness gracious <3!!!! :) Thank you so so soooooo very much for this kind, generous, awesome, amazing, kind, and incredible giveaway :D!!!!! I entered on Facebook (Emmy Laluver) and Twitter (@laluver101) as well :)!!! Thank you thank you thank you :D!!!!!! awesome!! When does the giveaway end?? I want to have my name thrown in please.